Due to huge demand and a growing community of paddle boarders, we are super excited to announce we’ll be running two SUP sessions a month! Our Nighttime SUPs are open to all level paddle boarders, join as part of our Introduction Session or a returning paddler, to take in the sights of the city at night! This is the ideal session to add into your midweek routine, after our 2-hour paddle we’ll head to KUPP a great Swedish restaurant and bar for food and drinks - Optional but encouraged as it’s a great way to meet some kickass ladies within the community! Starting at Paddington Basin we'll explore the canals of London. We’ll pass through iconic London Landmarks such as Little Venice, Saint Mary Magdalene Church and Trellick Tower. 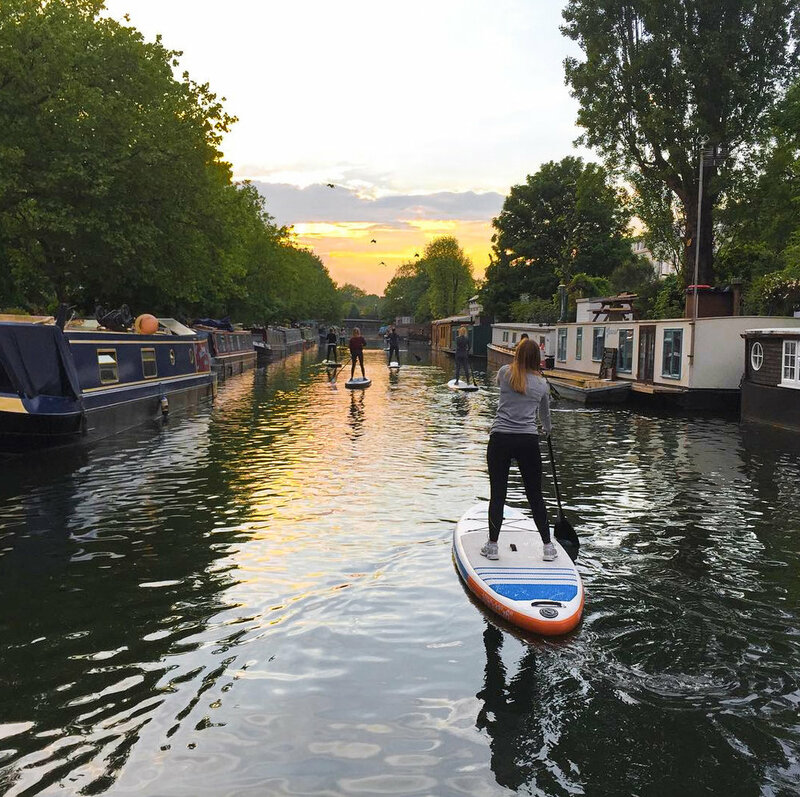 Once you’ve completed this intro session you’ll be able to join active360 on any of their SUP sessions from Paddington, Putney and Kew Bridge or just hire boards from active360. We will arrange future SUP sessions at these locations, so great to get your intro session done asap! Already done the Intro Session? If you've already SUPed with Active360, you can join our Returning Paddlers Group! Departing at the same time, you'll be able to meet some new SUP friends for more water adventures in 2018 and even join our SUP Challenge group and take on 32km in Portugal this April! We need to confirm 8 spots for the session to run, so please don’t delay in booking on so we can get the green light! If we don't get the sign ups refunds will be given, but we always sell out! Step 2. Find 17th July on the Private Calendar and select Gutsy Girl Event.